RAW HOLLYWOOD : NEW MUSIC: QUINCY FEAT. 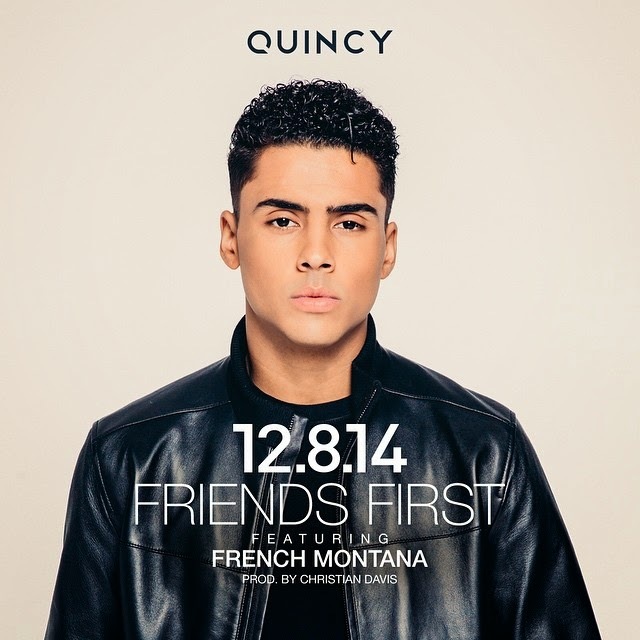 FRENCH MONTANA "FRIENDS FIRST"
NEW MUSIC: QUINCY FEAT. FRENCH MONTANA "FRIENDS FIRST"
Qunicy is more then just Diddy's stepson he's a very talented singer who has big plans for his music career in 2015. He has released a brand new single called "Friends First" & it's features a verse from rapper French Montana. The song is about taking things slow & getting to know someone before you take it to a sexual level or putting the title of a relationship on it. The 23 years old sings in falsetto over the groovy Christian Davis produced record & he even got the stamp of approval from Diddy himself. "I was gon' release it in January or February, & then I played it for him & he was like, "Whoa. You got one. Let me just put my little touches on it." Listen to the groovy tune below.